Hindus again attacked in Bangladesh on false rumours of defaming Muhammad in facebook. Attack on Hindus out of false FB defamation of Muhammad. Representational Pic. HE Archive. 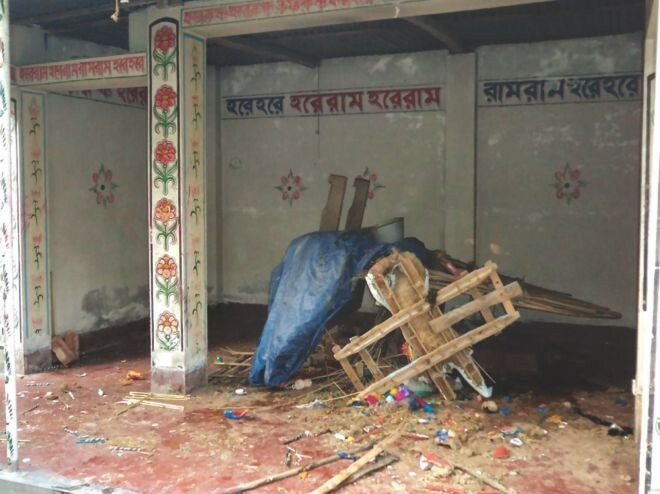 PTI | Dhaka | May 5, 2014:: A mob of nearly 3,000 attacked Hindu households and a temple in eastern Bangladesh after two youths from the community allegedly insulted the Prophet Muhammad on Facebook. 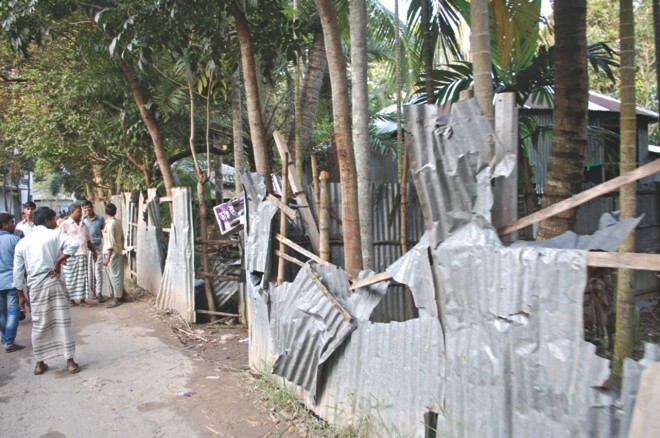 Police on Monday arrested 17 people, including the principal of Bagmara Madrasa, for the attack on the temple and over two dozen households at Homna in Comilla district, about 100km south east of Dhaka, last week. “We so far arrested 17 people and some of them made confessional statements regarding the attack. A manhunt is under way to arrest the rest of the culprits,” police chief of Homna, Aslam Shikdar said. He said suspected mastermind of the attack Nazrul Islam is still on the run. Minority Hindus are attacked again and again in Bangladesh on false rumors on defaming Muhammad in facebook. In most of the cases it is established that some Muslim perpetrators like to use the social media like facebook to upload objectionable comments and pictures against Islam and Muhammad in a very motivated way. After spreading the rumours of blasphemy or the defamation of Muhammad, the Islamic goons attack Hindus, Hindu-house holds, temples and specially the women folk. This nefarious design of Muslims must be condemned everywhere. In this continuity of attack on Hindu-Buddhist minority in Bangladesh, the retaliation on Muslim by Hindus and Buddhinst can be emerged as a big challenge to the Muslims, where they are minority. Muslims must stop persecution on Hindus in Bangladesh or otherwise…… Editor, Hindu Existence. The local police chief said steps were under way to put the accused on trial on charges of attacking the Hindu households and the temple under a planned manner. A makeshift police camp was setup at the village where the incident took place on April 26 following rumours that two Hindu youths had allegedly insulted the prophet in a Facebook post. Earlier reports said culprits mobilized attackers mostly belonging to fundamentalist Jamaat-e-Islami and several other ultra-right groups who ransacked the temple and the nearby households and looted some valuables. “The attack continued for some 20 minutes but during the time, the culprits preferred not to injure anyone … our initial investigation found it was a pre-planned attack as they used loudspeakers and distributed leaflets to mobilize the attack,” Shikdar said. People at the neighbourhood said nearly 3,000 attackers, mostly from outside the locality, staged the attack as the village elders were set to hold a meeting to resolve the issue of the alleged defamation of the prophet. 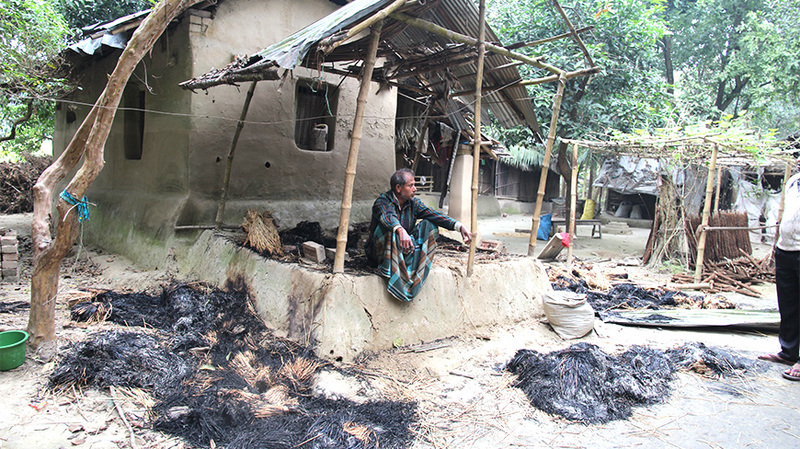 Shikdar said police immediately rushed to the scene but reached the remote village only when the attackers had fled. (via TOI). An easy prey to attack on Hindus for a facebook defamation of Muhammad or anything. Rumour triggers attack on Hindus’Jamaat-BNP men’ use false Facebook post for rampage: Hindus attacked in Pabna (Pabna. Nov 2013). Courtesy: PTI | The Star | 24BD News | TOI. Reblogged this on HINDUISM AND SANATAN DHARMA. 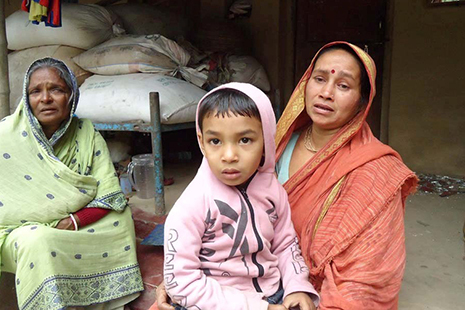 This entry was posted on May 7, 2014 by hinduexistence in Attack upon Hindu Temple by Muslims, Attack upon Hindu-Buddhists by Muslims, Attack upon Hindus by Muslims, Attack upon Hindus-Sikhs by Muslims, Conspiracy against Hindus, Hindus under Attack, Islamic Menace, Persecuted Hindus, Save Bangladesh Hindus, Save Bangladeshi Hindus and tagged Attack On Hindus, Attack On Hindus in Bangladesh, Bagmara Madrasa, Bangladesh Atrocities Archives, Comilla Attack On Hindu Minority in Bangladesh, Face Book Rumour, false rumors on defaming Muhammad in facebook, Jamaat-E-Islami.